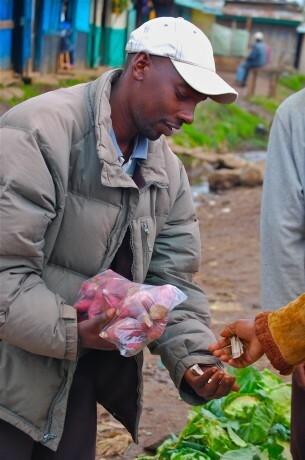 In Kahuho village, up on the foot of the Aberdare Ranges, is a potato farmer, Loise Mugure. Loise owns a two-and-a-half acre piece of land but while she could plant it all at once, she only cultivates a quarter an acre each season. She is among the 87 farmers from her village who approached M-Farm for help. The price uncertainty on agricultural commodities has forced farmers to gamble on how much to plant each season. Yes, these farmers had learned and embraced good agricultural practices. 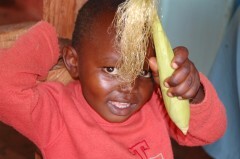 They have adopted new climate resilient crop varieties, even improved the health of their soils but their problems persisted. They needed information on how the markets behaved. At M-Farm, we set out to five markets in Kenya to provide them with real-time agricultural price information. We went a step further and made this information readily available through SMS platform. We thought this was the ultimate solution the farmers needed. There still existed a gap. The farmers wanted to be shown the future of markets. It needed data. The data was scarce. We could only do much with the few months’ data we had gathered. Working with farmers on a daily basis, I became frustrated too. I could not provide them with the outlooks they needed because I did not have the agricultural data to analyse and present to them. It is exciting to have the Famine Early Warning Systems Network (FEWSNET) dataset on Agriculture available to M-Farm. As a software solution and Agribusiness company focused on connecting farmers, we intend to integrate this dataset into our SMS information platform for our farmers. We are processing the data to more meaningful information to farmers, then package it to suit their needs. This will help the farmers take important decisions on agricultural productivity. What is beautiful about the FEWSNET data that the USAID has provided to our farmers is that it is from markets we know and on crops that are our staples. Finding local interpretation of the FEWSNET dataset gives us control of our situation. We can help protect food insecure populations from hunger with this data that has been made open to us. With access to the FEWSNET market price data, our farmers are richer with more useful information on the market behavior. The more the data, the more sophisticated the analysis and the presentation tool. Connecting farmers with the right information and at the right time levels the playing field for them, creates transparency and improves their livelihoods. At M-Farm the FEWSNET database is not just data, it is critical information that is finding its way into the lives of the primary producers who feed the nation. Very interesting. Actually, I could see two cases made here for a) botanical variants commons sourced for prizes as sources of ag medicine relevant to local situations (malaria, eg) and b) it would be nice to have energy savings calculator data of logistics results from FEWSNET participant brokers into famine shipments subsidies of energy crops (nonedible) and/or local sponsored fuel depots famine readiness under Dept of State flag for fuel subsidies to broaden farming strategies and mobilization readiness as strategic allied partnerships under granting infrastructures to the point of energy grade readiness for self-subsidy of algoil and other infrastructure (will mention to Solazyme).